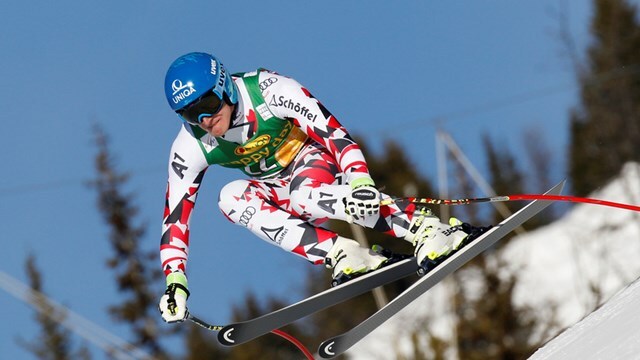 Vienna, Austria – Injuries sustained in a crash during this weekend’s Val Gardena downhill have ended the World Cup ski season for Austria’s Matthias Mayer. Although one of the protective airbags new to the World Cup circuit deployed, Mayer’s injuries are more serious than initially believed. Further medical examinations undertaken in Innsbruck revealed a fracture of Mayer’s sixth and seventh thoracic vertebrae. Mayer underwent surgery on Saturday to fuse together his fifth and eighth vertebrae. This surgery means the season is over for Mayer. “According to the circumstances, Matthias is fine. He will stay at the hospital for at least 10 days before being released for home care,” said Dr. Michael Gabl, who performed the surgery. “It could have been worse. It will grow back together,” said Mayer, who already suffered severe contusions to both tibias before the World Cup Opening in Soelden but came back to compete and earn a second-place podium finish in the Lake Louise super G.